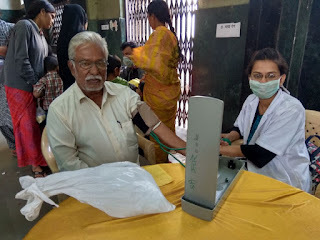 Pune, 23-Jan-2018: The Don Bosco Development Society (DBDS), Pune organized a free heath camp for the residents of Mother Teresa slum in Yerwada. 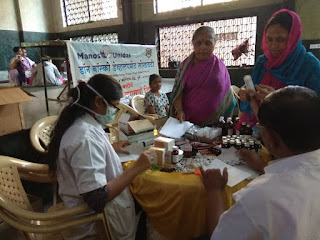 310 people benefited from this health camp held under the aegis of ‘Women Empowerment Project’ supported by Manos Unidas, Spain. The health camp was inaugurated by Mr. John Paul (Ex-Corporator of Pune Municipal Corporation) by lighting the lamp. Mr. Nagsen Chavan (Coordinator - DBDS) welcomed the guests and medical team from Aundh Surgical District Hospital. 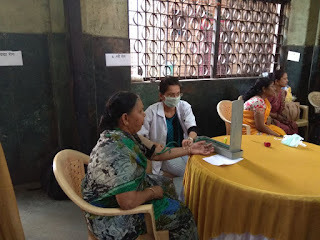 A team of doctors and para- medical staff consisting of Dr. Mundhe (General Physician), Dr Kalpana Kamble (Gynaecologist), Dr. Vinayak Deshpande (Paediatrician) Mr. Tarachand kachare (Medical social worker ), Dr. Vaishanavi Kshirsagar and Dr. Shradh Patil (Dental) examined the patients and distributed free medicines to sick patients. 310 men, women and children benefited from this free health camp. 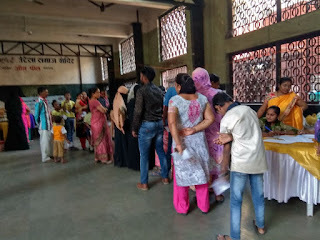 21 patients were referred for further treatment to Aundh Surgical District Hospital. 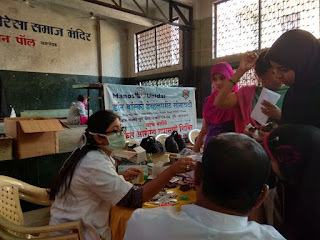 Majority of patients were suffering from skin diseases, fungal infections, viral fever, cough and cold. 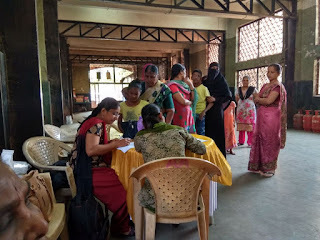 Mrs. Priya Sonwane (Staff - DBDS) and Mrs. Leena Gaikwad (Jr Social Worker-DBDS) managed the registration and ushering of patients. Miss Nilima Chandhare (Staff - DBDS) gave a brief introduction to patients on the vision and mission of DBDS. In the end Miss Jyoti Sonwane (Staff - DBDS) gave vote of thanks to the medical team and patients.